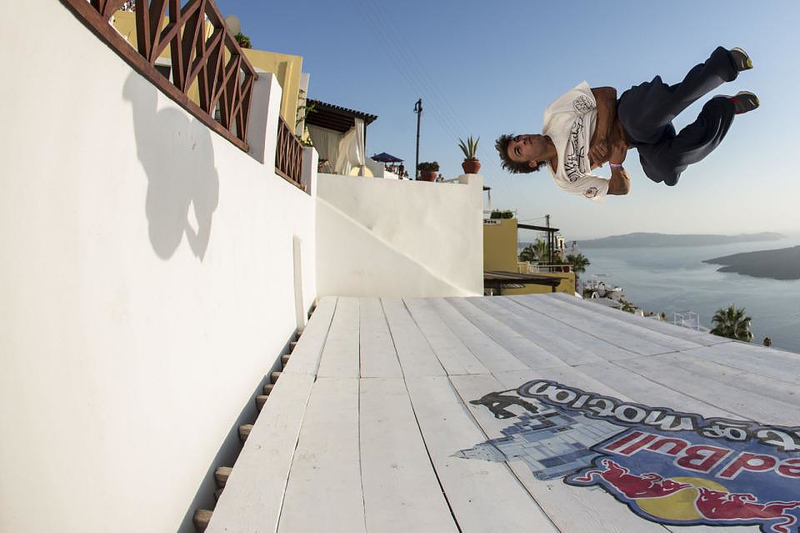 HomeBlogVariousRed Bull Art of Motion 2012 Santorini. 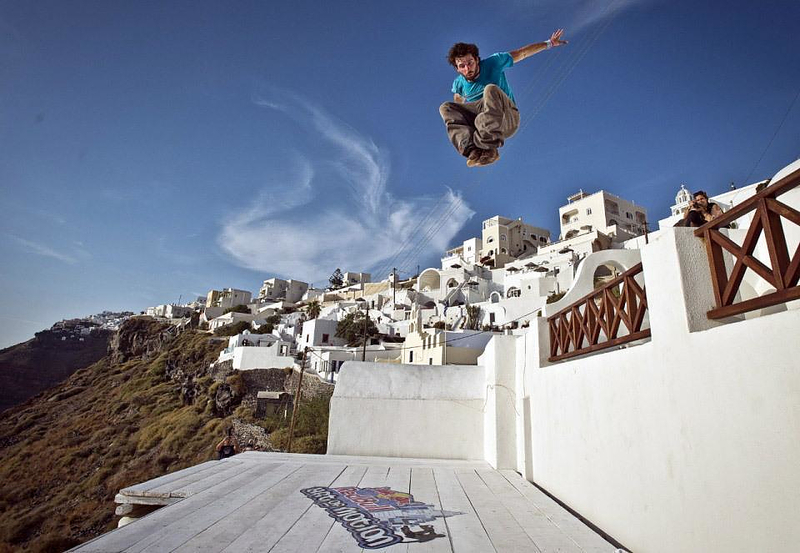 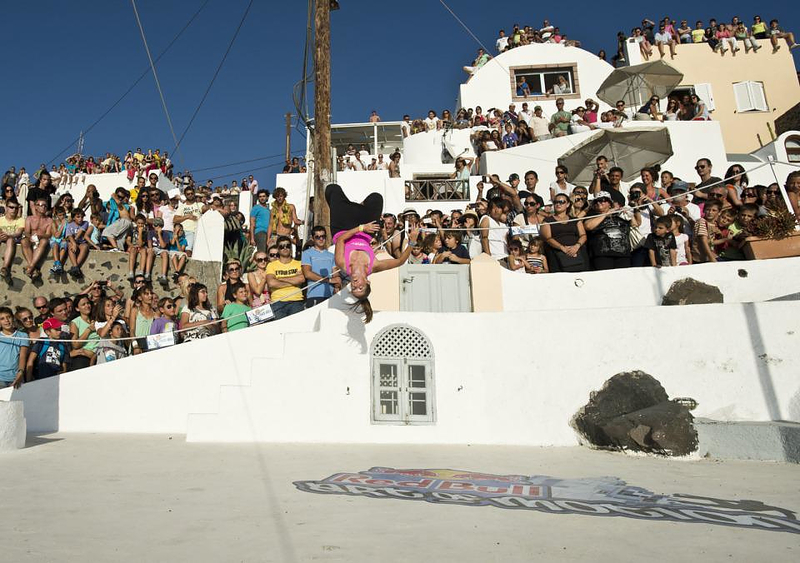 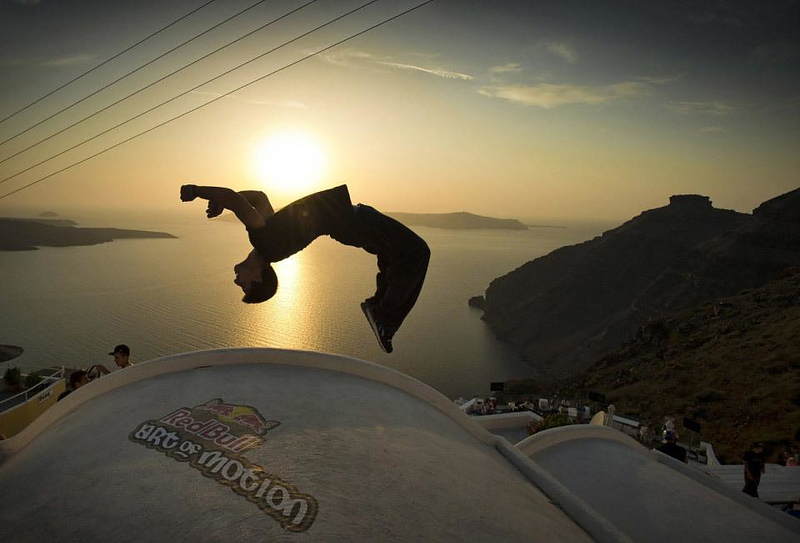 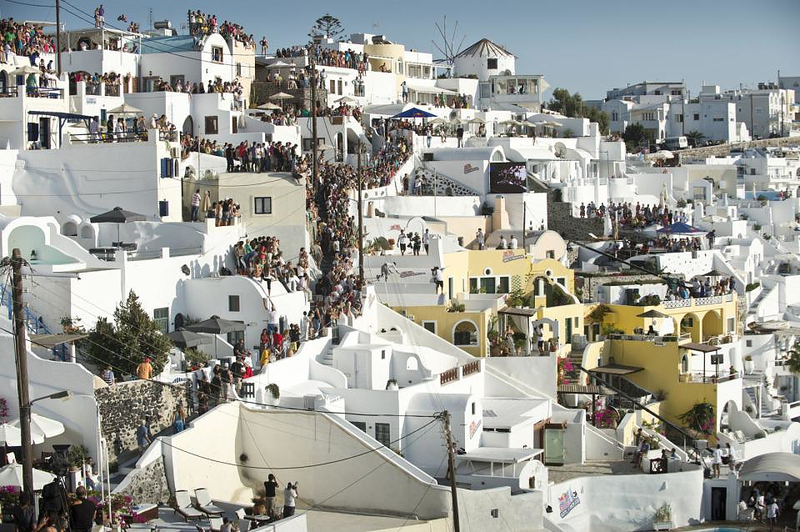 Red Bull Art of Motion 2012 Santorini was concluded last Saturday on the breathtaking island of Santorini, Greece. 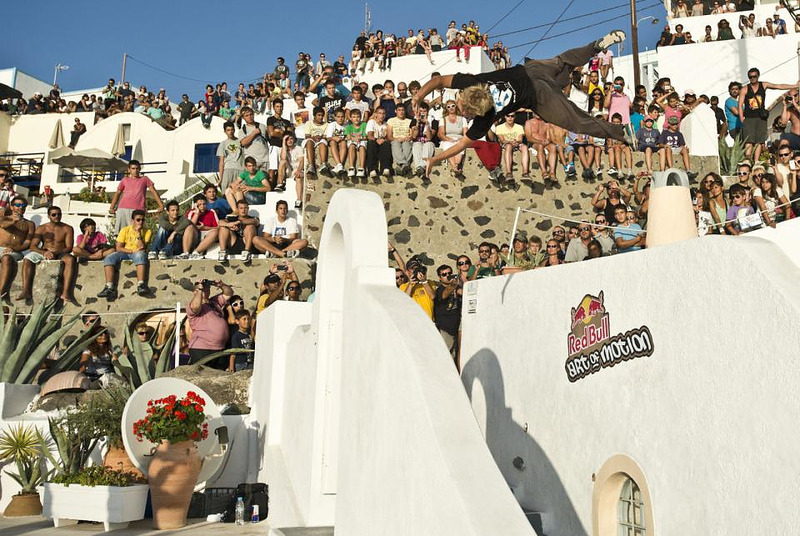 The eventual winner was Latvian Pavels Petkuns who delivered a world-class performance for this special occasion. 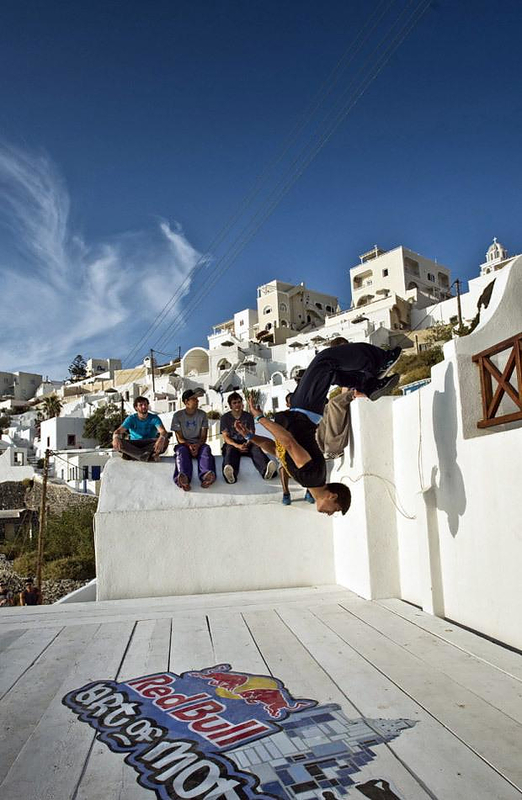 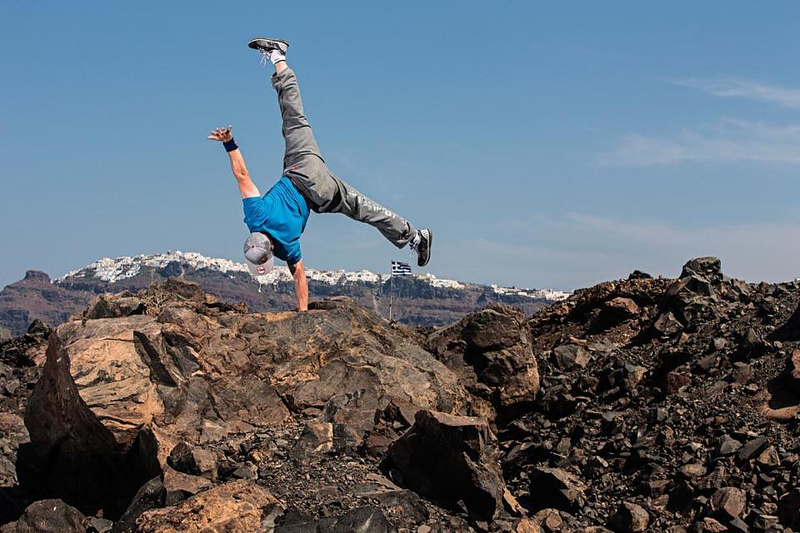 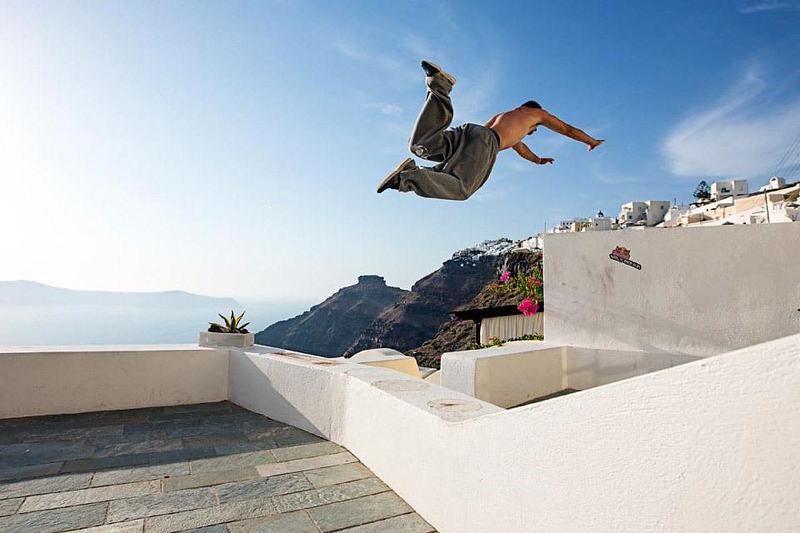 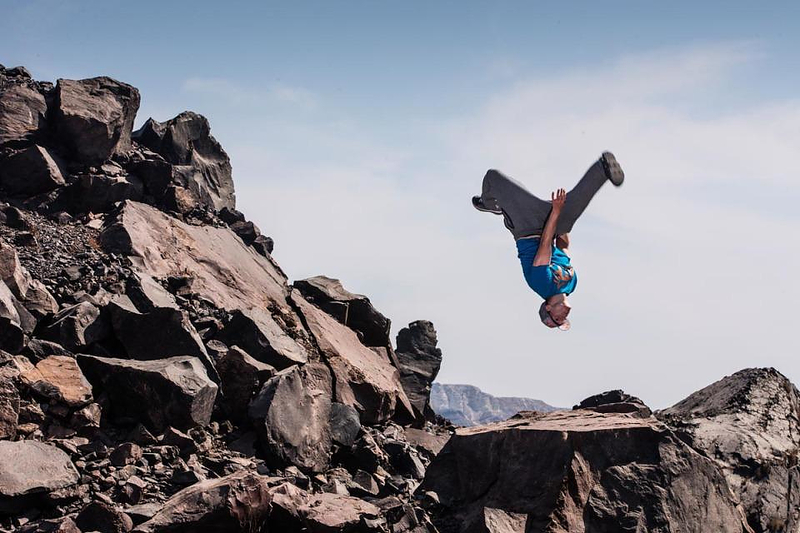 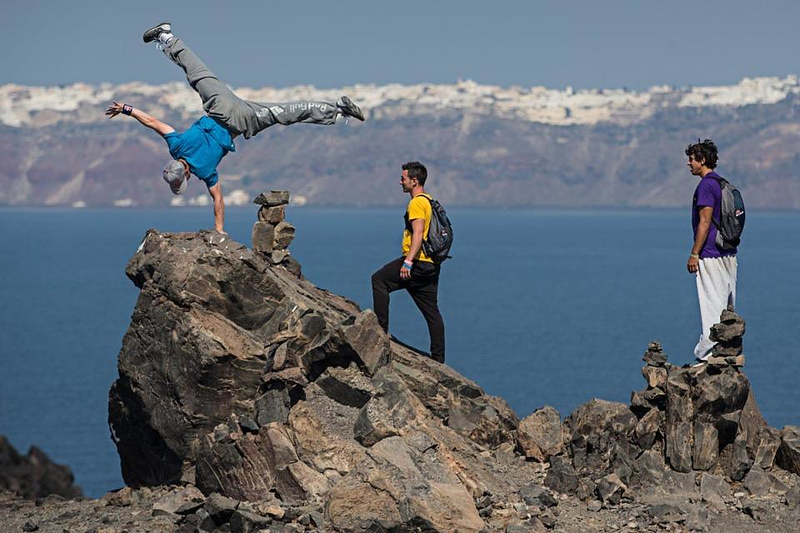 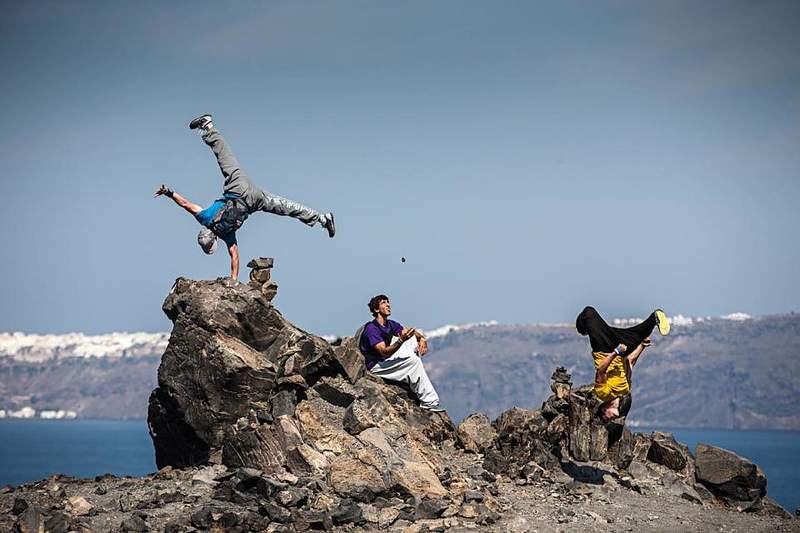 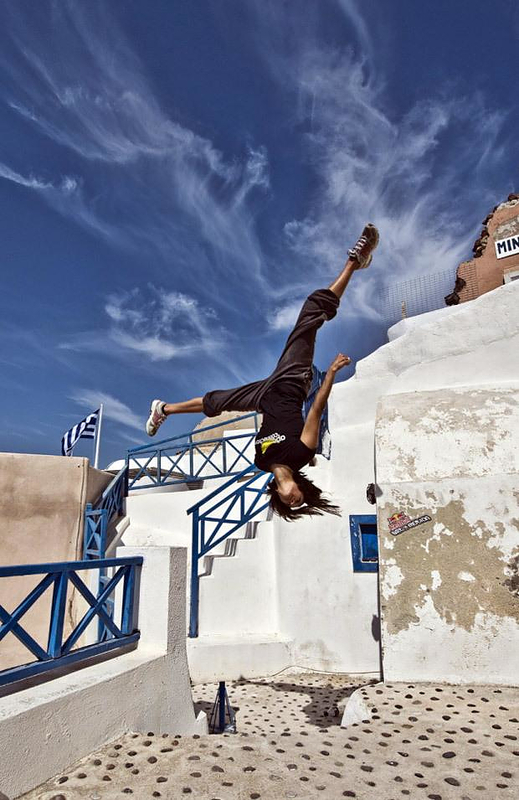 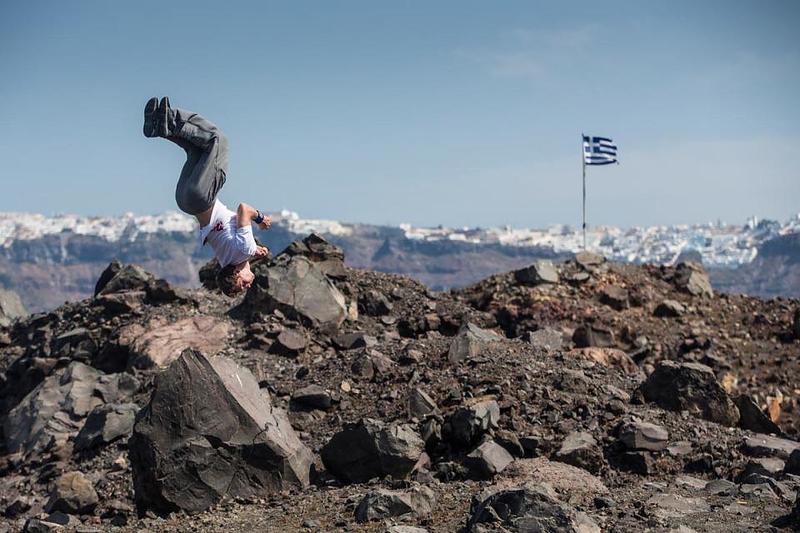 21 of the world’s best freerunning athletes turned the ancient volcanic isle to the young sport’s most urban parkour in front of 2,500 frantic fans. 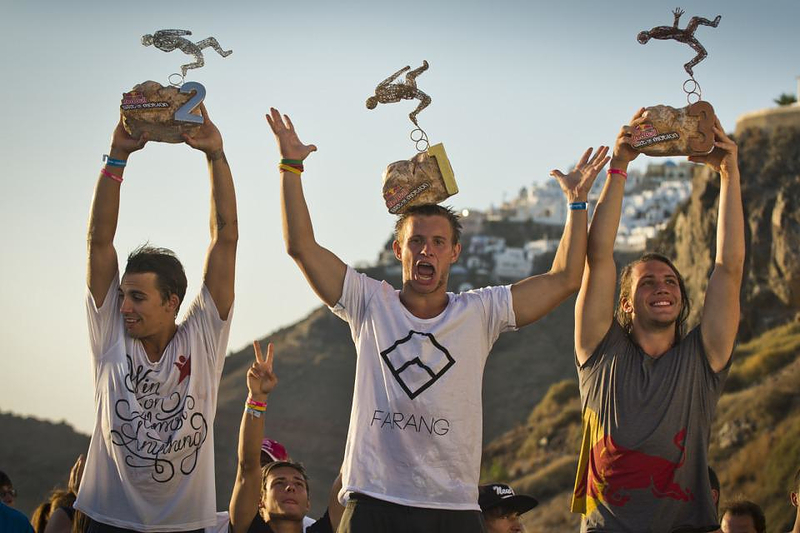 Sweden’s Marcus Gustafsson and German Jason Paul grabbed the other two podium spots. 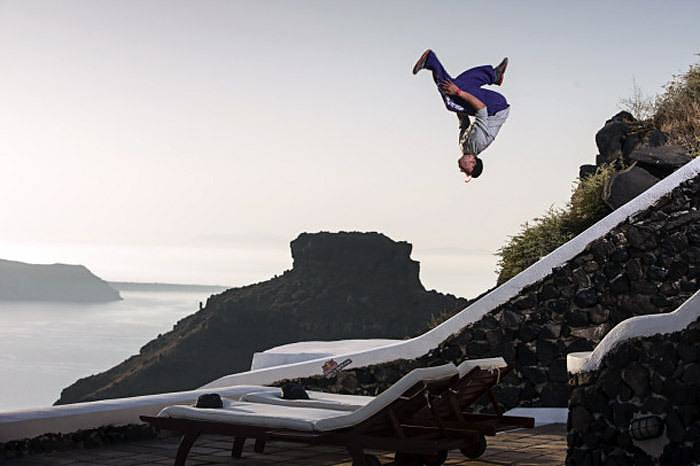 Check out the video and the best action shots after the jump. 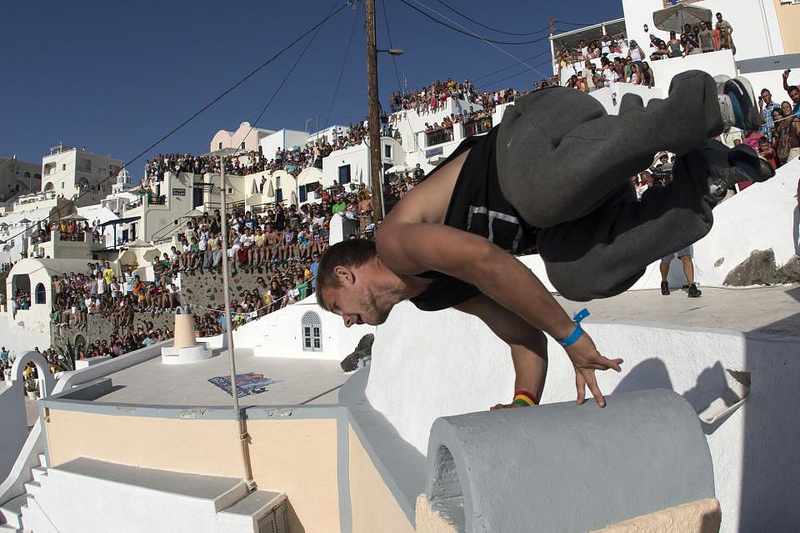 It was always going to be about fun, elegance, risk and efficiency when Pavels Petkuns delivered a world-class performance above the white-washed stone roofs of Firostefani to impress the four-member jury and win the most prestigous freerunning and parkour competition on the planet. 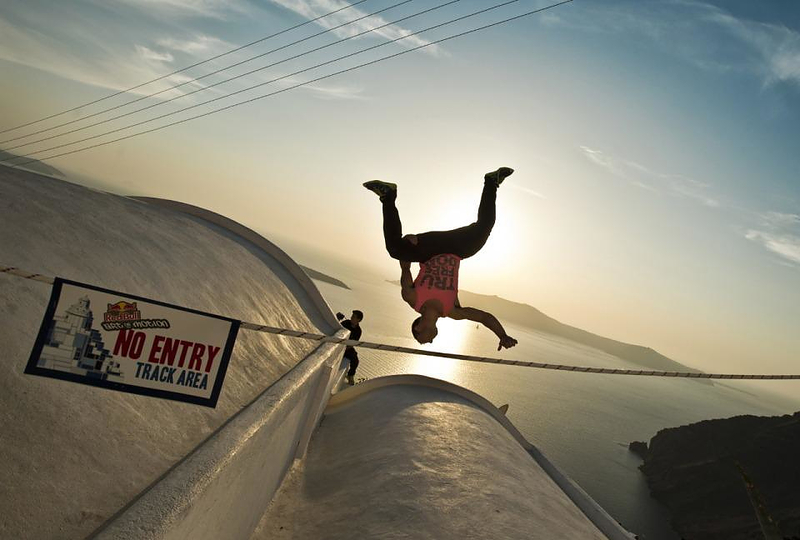 The course was 260-metre long and went over roofs, church cupolas, terraces and swimming pools with an overall drop of 70 metres for a time of just under two minutes. 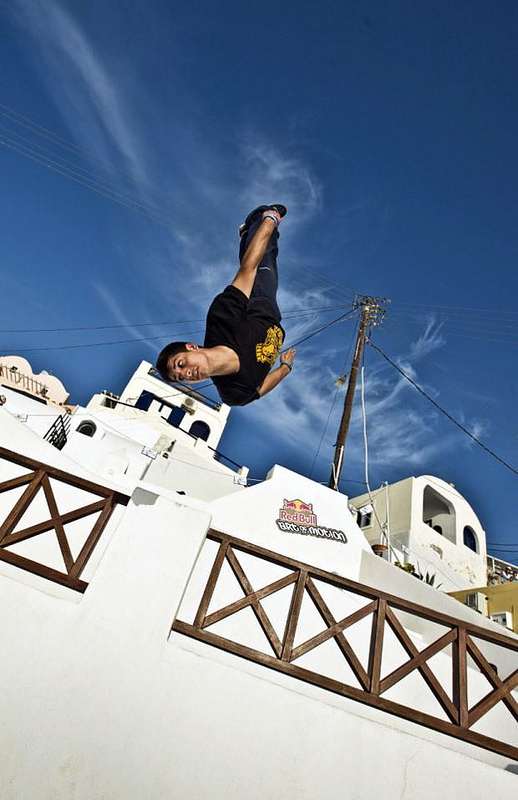 The top eight finishers in the qualifying round booked their spot in the final and straight into the hearts of fans with a final jump into a swimming pool.